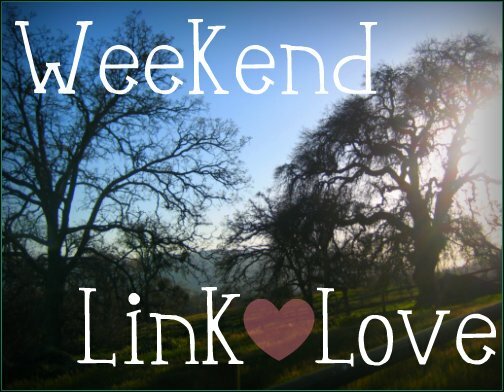 I haven’t done a Weekend Link Love in forevs! I need to start doing them again because my bookmarks get all crazy full with stuff I want to share with you guys when I don’t. Enjoy! I’m kind of obsessed with the idea of Saludos. I can’t even pick one from their women’s styles. This True Love ring is precious. I just discovered the food blog Fifteen Spatulas. Everything looks so good, I can’t wait to try the Hot Buttered Fluffy Pretzels. I’m obsessed with getting soft pretzels at the mall + movies. Wild Olive’s tutorial on how to photograph with a white background is GREAT. I recently discovered Function. They have so many good online classes about blogging, photography, etc I’m thinking about taking one this month. This Looking Into The Past Flickr group is amazing! People hold up/photoshop old photos of places with new photos of what it looks like now. So cool! The Krazy Coupon Lady used to be a daily visit for me back when I did a lot of couponing, but I love this post about how often you should wash things like clothes, towels, sheets, etc. I think a lot of people wash things more than needed, including me! This Skinny Chicken & Broccoli Alfredo recipe is one of my faves! I obviously leave out the chicken and add extra broccoli since I don’t eat meat, but it’s so yummy and way less terrible than real alfredo sauce. Oregon Trail anyone? I love that I can play it online! I’ll play a few games once in a while and then when someone dies I give up because I feel bad. DIY Washi Tape Pen Tutorial! So cute and simple. Love, love this little Inspirational Business Tips over at Gussy Sews. As a business owner myself, I love hearing tips/advice from other ladies! FlyLady is AWESOME. I’m (slowly) trying to implement her cleaning tips/routines. Is anyone else obsessed with looking at business card designs?